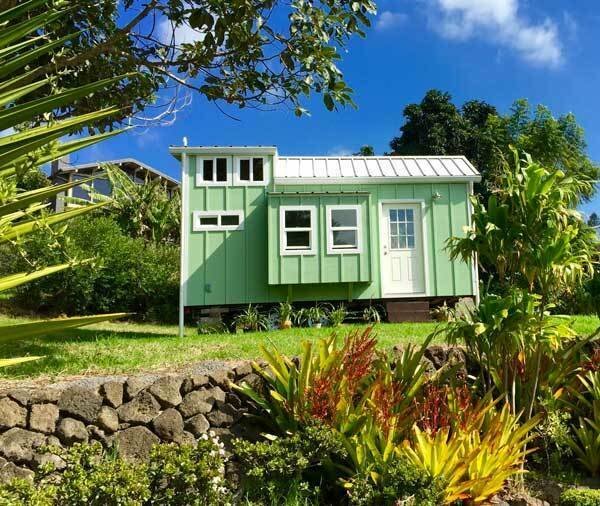 This custom-built hut by Habitats Hawaii can sleep five people. There’s a single bench/bed in the kitchen and a window bump-out bed with a double punee’ downstairs. The main bedroom boasts a queen bed in the loft.